It’s been a while. Things have been more than a little crazy lately. Welcome to Dead Week. That final week before exams where summer is within reach, but you have 2934852039485 projects due before you can get there. So close, yet so far away. At least I finished that beast of research paper. Just 1 paper, 1 group project, 1 presentation and 4 exams to go. Get ready. The weather was beautiful here this weekend. Which figures, because the weather is only nice when I have a mound of work to keep me inside. I did get outside on Saturday and enjoyed the weather some. Saturday morning I went for a 5 mile run, it was long and hot but I made it. It was 55 degrees when I started running and 65 when I finished, I was not dressed appropriately for that and sweating up a storm. I feel sorry for the pedestrians I ran past, hopefully I didn’t sweat on them, but I can’t confidently say that I didn’t. 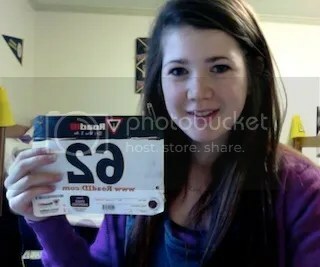 Working on that 10K, it will happen. Soon. I got sun burnt. Time to buy some sunscreen. But only on one arm. With a sweet farmers tan line, and pale elbow crease from where my arm was bent while running. I thought it didn’t look that bad, then I went to the gym in a tank top, I thought wrong. 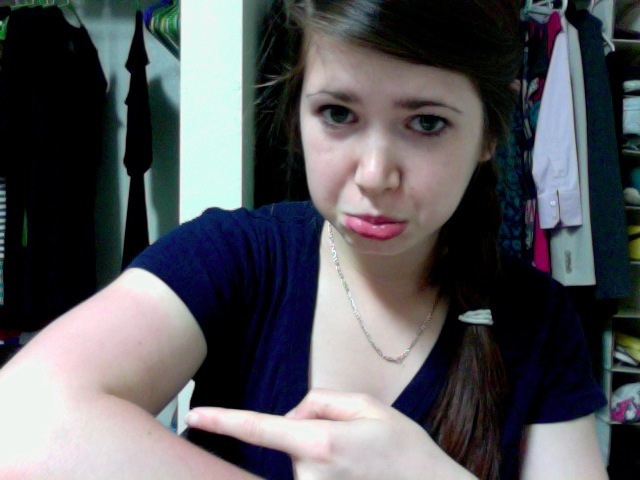 The joys of pasty white skin, you get the most awkward tan lines ever. Post sun burn, my friend and I drove to Moses Cone so I could take some graduation pictures for her. We took a short walk on one of the trails and then headed for frozen yogurt. Highlight of my weekend. I’m an old lady and always get the tart flavor. Boring, but I don’t care. Then I spent the rest of the night working on my 20-page paper. Gross. Sunday was also spent on homework, and not teaching Pilates because no one came. Oh well. Speaking of Pilates, I got my first paycheck today, exciting stuff. Less exciting was that it was for less than $20 but I’m okay with that. I also went grocery shopping and picked up lots of produce. 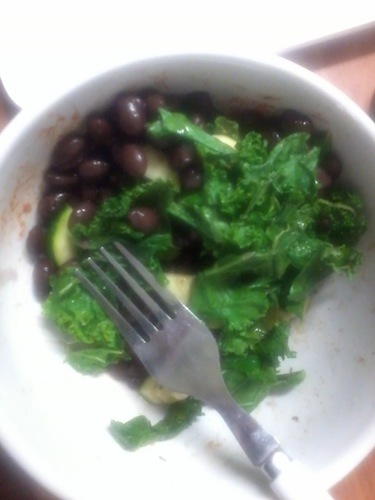 One horribly blurry picture of black beans, kale, avocado and zucchini, green foods are my favorite. Along ones you can microwave. Speaking of microwaves and dorm food, I only have 10 days left in this dorm and then its goodbye dorm-life forever! To say I’m a little excited about that is an understatement. I’m so excited to have a kitchen and my own room, with a door. Time to get back to studying.